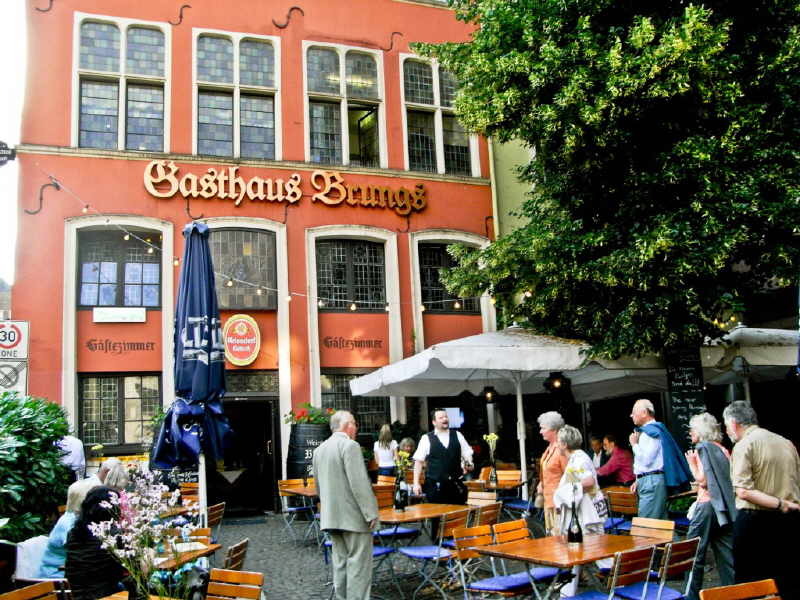 Flights with German Wings are cheap so you can afford to splurge on your accommodation. 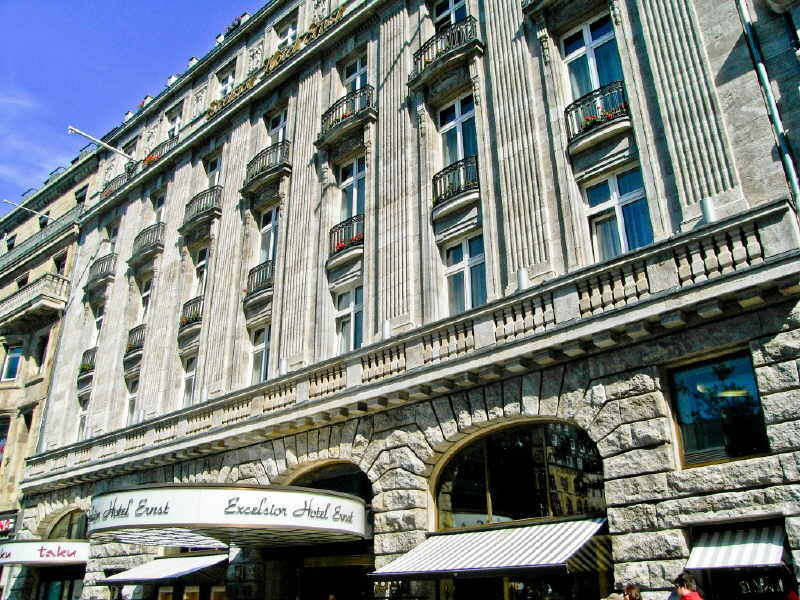 I stayed at the Hotel Excelsior Ernst, a five star palace directly opposite the cathedral and 5 minutes walk from the railway station. This is one of “The Leading Hotels of the World” and has had almost 150 years to get it right, making it the best hotel in town. Everything is sumptuously modern but its classic features remind you of its long history, and it’s still privately owned. 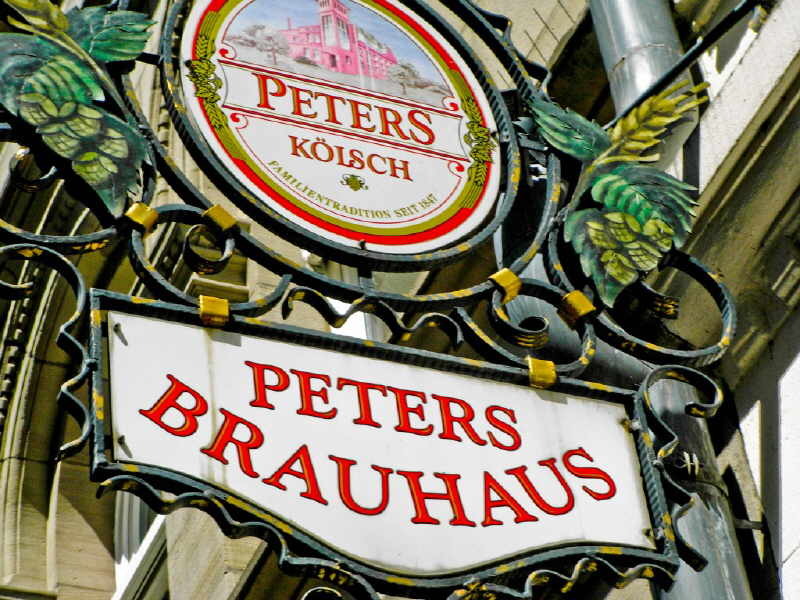 The two restaurants, one classic French with a German touch, and the other offering a range of refined Asian dishes, meet the rest of the hotel’s high standards and there’s even a Riesling bar where you can sample glasses of this famous German tipple. 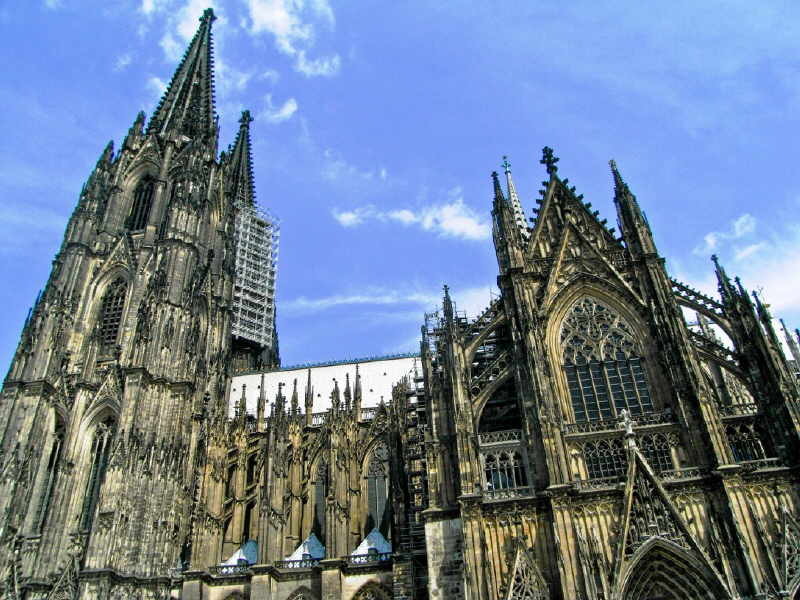 Most of Cologne’s star attractions are within walking distance. Dominating the view from your room are the two towers, almost 160m tall, of the cathedral. Building started in 1248 to house the remains of the Three Kings which had been taken from a defeated Milan a few years earlier, but it wasn’t finished until 1880 when it was the tallest building in the world. That honour didn’t last long but it’s still the largest Gothic church in northern Europe. 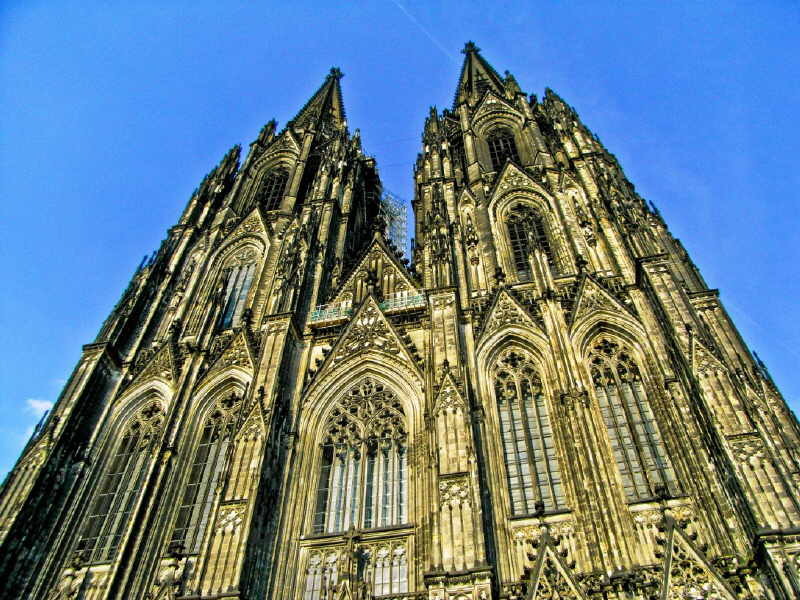 Although most of Cologne was flattened in the 2nd world war, the cathedral survived intact and the stained glass was taken way for safe keeping. 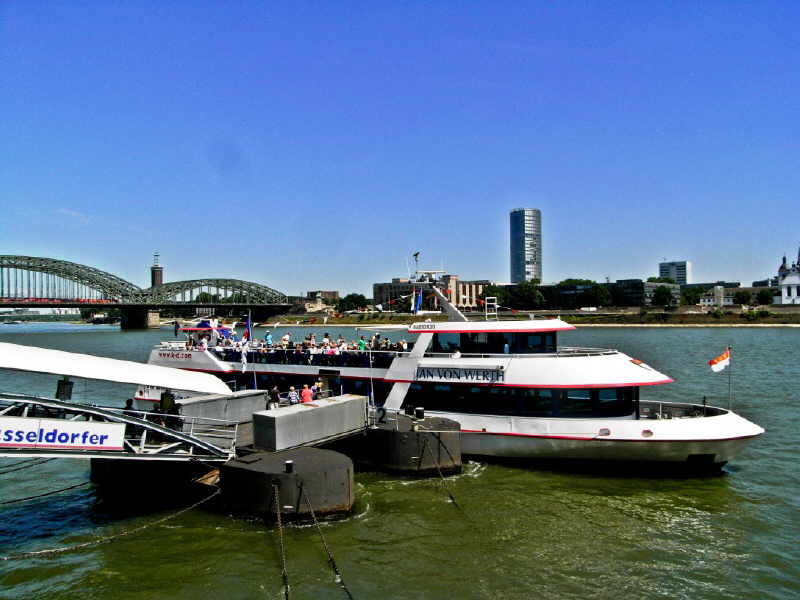 It’s certainly impressive and you can climb 509 steps up the tower to get an unsurpassed view of the city and the river Rhine. 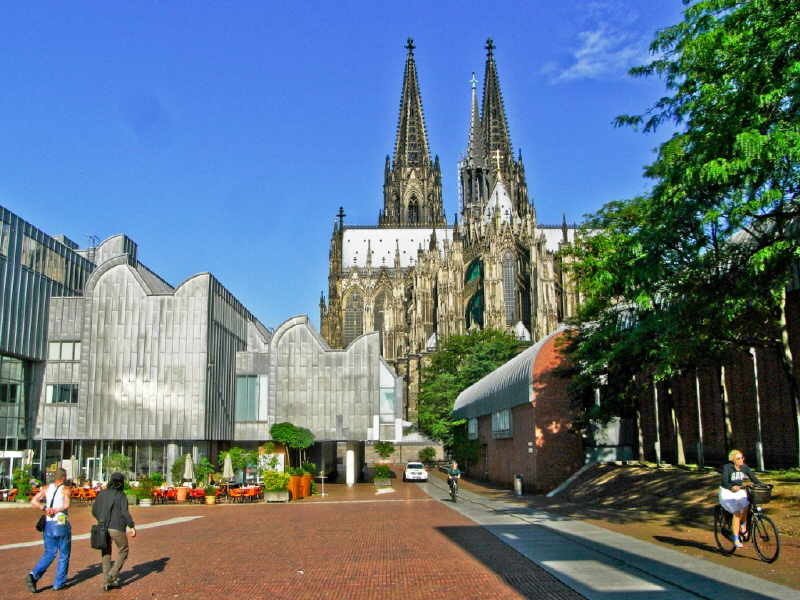 Right next to the Cathedral is the Ludwig modern art museum, home to a great number of Picasso’s and the largest pop art collection outside the USA. Warhol’s “Brillo Boxes”, George Segal’s “Restaurant Window” and Roy Lichtenstein’s “Maybe” are all on display here and there’s also a selection of conceptual art and video installations. 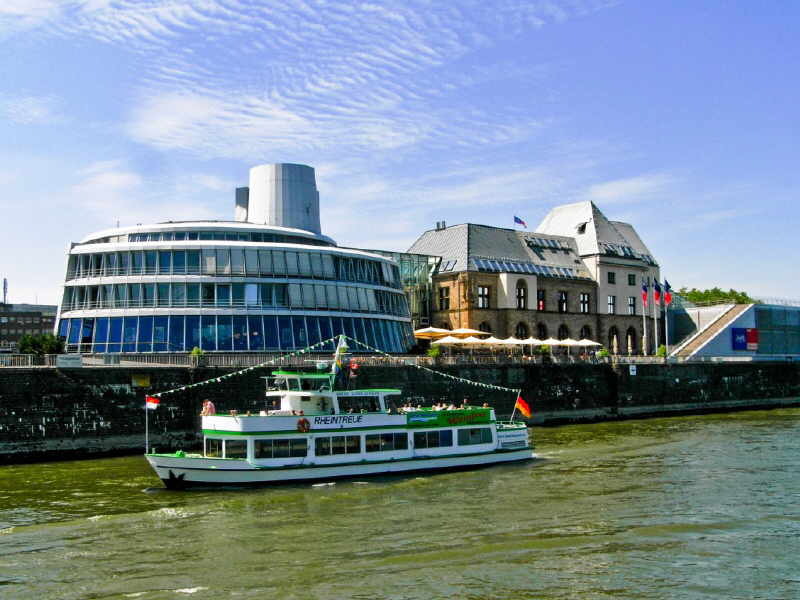 You can easily spend a whole day here wandering its four floors and marveling at the views of the Rhine from its windows. 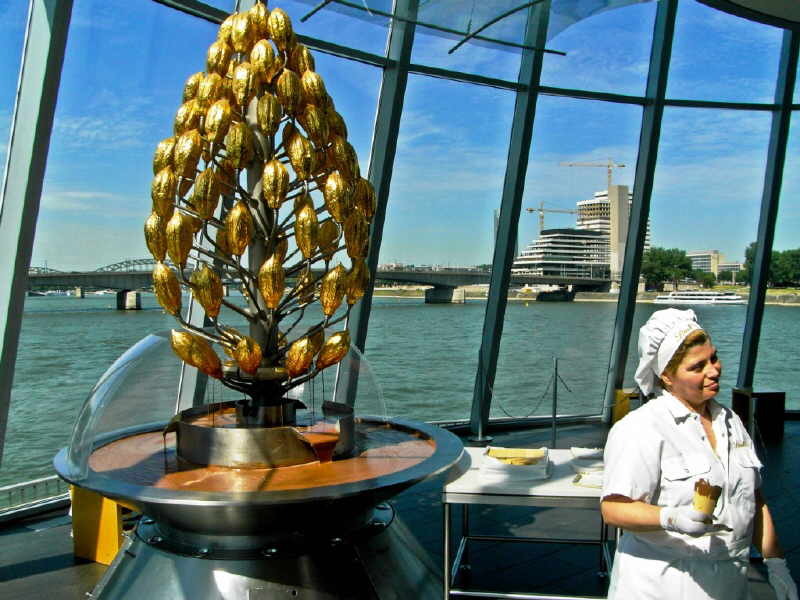 If modern art isn’t your bag, then the Chocolate Museum is just a short walk away on the site of one of the old Rhine docks. Its three levels take you a journey through 3000 years of the cultural history of chocolate from the Aztecs to the modern day. There’s a tropical greenhouse where you can see Cocoa trees and other exotic vegetation and a modern production line showing all the production stages. This culminates in a Chocolate Fountain where visitors can try the delicious fluid for themselves. German Wings flies two or three times a day from Stansted to Cologne. 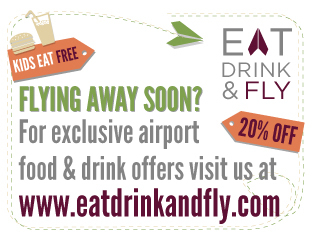 Flights start at 19.99 Euro one way!